Quick overview From the Edwardian golden age of steam to the present, the railway has captured the hearts and imaginations of the British people like no other mode of travel. This title presents one hundred years of the British passenger's story, using full-page imagery with commentary. From the Edwardian golden age of steam to the present, the railway has captured the hearts and imaginations of the British people like no other mode of travel. In wartime and peace, along major routes and minor, steam, diesel and electric trains have carried commuters to work, families to holiday destinations and provided the means to myriad other adventures - the train a constant presence in an ever-changing way of life. 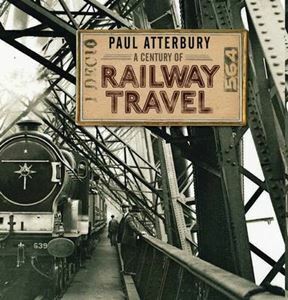 A Century of Railway Travel presents one hundred years of the British passenger's story, using striking full-page imagery with commentary from bestselling author Paul Atterbury. From the open platforms of provincial stations before the First World War to the modern throngs at Waterloo on Derby Day, and from compartments that separated rich from poor and male from female, to the rise to dominance of modern standard class, this book depicts the rich tapestry of progress and heritage that has been the last century of British train travel. The coloured card ticket in your hand, the rough feel of the upholstered seats, and the call of the whistle, the scenery begins to move across the carriage windows of one of Britain's great steam-trains: with full-page illustrations and text alive with insight and nostalgia, this is a passenger's history of train travel in the last century.